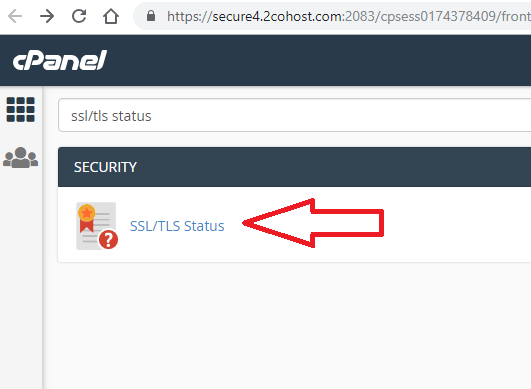 3- From cPanel, search “ssl/tls status” and click on SSL/TLS Status and click on it. After sometime, you will see Green circle with your domain name and some basic subdomains like mail, www, webdisk, webmail and cpanel. So, now your SSL is activated and working fine.